ActewAGL Retail has a phenomenal opportunity for an enthusiastic and driven individual with a high level business and financial acumen and strong analytical skills to take on the role of a Commercial Analyst. The Branch provides commercial support and management reporting for ActewAGL Retail. The team provides commercial and financial analysis to Retail executives in order to drive stronger commercial outcomes on business initiatives. Reporting to the Senior Commercial Analyst, you will undertake financial reviews, develop business models, prepare forecasts and budgets and support the wider Retail team. - Develop and review Retail contractual arrangements from a Commercial perspective. We boast a positive team culture that encourages and inspires. We are a team of forward thinking individuals and operate in a flexible and autonomous environment. We offer generous salary and benefits including competitive pay, subsidised gym memberships, leadership and professional development programs, staff rewards, recognition programs and much more. Sound ability to evaluate existing and new projects for financial and commercial soundness. To apply, log onto our recruitment portal and submit your cover letter and resume outlining the experience and capabilities you can bring to the role. Applications close COB 25 July 2018. To learn more about this exciting opportunity we urge you to contact Kate Dean onkate.dean@actewagl.com.au OR (02) 6248 3046. 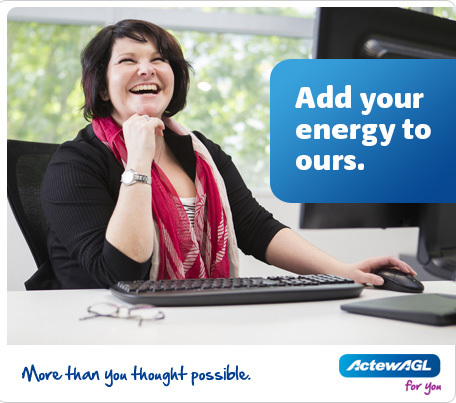 ActewAGL is an Equal Opportunity Employer which values diversity and inclusion. We encourage applicants from diverse backgrounds, including Aboriginal and Torres Strait Islanders, people with disabilities, people from culturally diverse backgrounds and all ages. We also have a strong focus on gender balance within the organisation and encourage women to apply.